Casual and comfortable, just like loungewear should be! 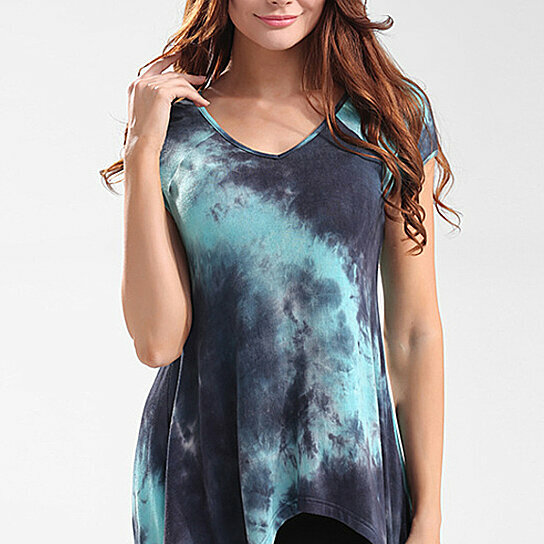 Made from a super-soft rayon/polyester blend and featuring a unique tie dye print, pair it with your favorite black leggings to run errands -- or to be perfectly comfortable when itâ€™s time to relax. Please allow up to 1/2 inch leeway in all measurements.